RCI recently welcomed five newly-affiliated resorts in China to its exchange network. The properties are Boao Yudaiwan Hotel in Hainan Island, Paxton Vacances Resort Qionghai Bay Xichang, Suiton by Paxton Qionghai Bay Xichang, Paxton Park Hotel Chengdu and Paxton Vacances Resorts Jiuzhaigou in the Sichuan Province. With these additions, RCI’s portfolio in China now boasts nearly 60 properties. 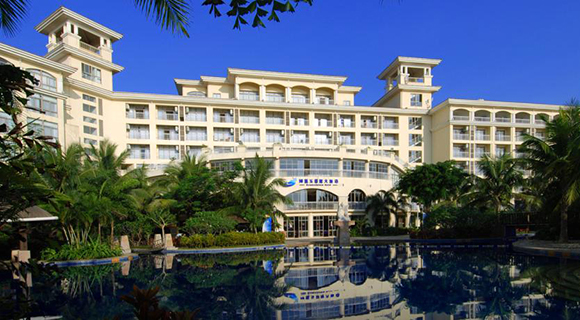 Boao Yudaiwan Hotel is located in Boao Hainan where the annual Boao Forum is held. The hotel has been used to host important leaders and media from all over the world. Recreational activities at the hotel include a billiard room, swimming pool and spa. The hotel also provides car and bicycle rental services. Guests can dine at the onsite restaurant that offers Hangzhou cuisine or enjoy a Southeast Asian buffet spread at the cafe. Paxton Vacances Resort Qionghai Bay Xichang sits by the tranquil Qionghai Bay, facing the magnificent Lu Mountain. The U-shape structure of the building maximizes the views from each room so that guests can see the beautiful scenery no matter which room they are staying in. The hotel is located near famous scenic spots such as Wetland Park and Moon Town, which is about 15 minutes away from downtown Xichang. Suiton by Paxton Qionghai Bay Xichang is located at the southwest bank of Qionghai Bay. Boasting dual attributes of a hotel and an apartment, the accommodations are suitable for long-term vacations. Each suite comes with a homey interior, refined decor, electrical appliances, kitchen and dining area. Paxton Park Hotel Chengdu is a five-star hotel with 161 guestrooms and suites, all fitted with gorgeous French windows. The hotel is a landmark building in the north end of Chengdu. Popular tourist spots, such as Chengdu Research Base of Giant Panda Breeding, Chengdu International Exhibition Centre and Chengdu Botanical Garden, are easily accessible from the hotel. Paxton Vacances Resorts Jiuzhaigou is located in Jiuzhaigou, a UNESCO World Heritage site most famous for its breathtaking waterscapes. The hotel has 290 luxurious guestrooms, each with its own unique design. There are various facilities available on site, including a spa, a game room, a performing arts and conference hall that can hold 400 people, and the areas only Korean restaurant. Mr. Hua De Ming, CEO of Paxton Hotel Group, China, said: “As China’s standard of living increases and the tourism industry develops, going on holiday is becoming a necessity for many families. The growing popularity of vacation ownership is an inevitable trend. Our affiliation with RCI, the world’s largest holiday exchange network, will give us a strategic advantage as we develop our vacation club to be an important arm of our business.